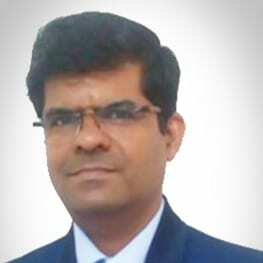 Ajay Sharma has over 15 Years of experience while working with the CAD/CAM tools to help Automotive industry and Industrial Machinery manufacturers adopt latest technologies in their everyday use He has executed various projects and delivered trainings on various domains like Forging, Plastics Mold Design, and Product Development using NX CAD and NX CAM. 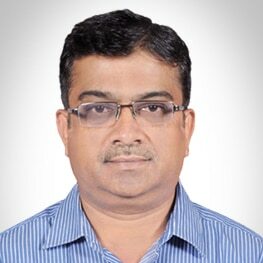 Prabhat Kumar has total 20 years of experience across Product Design & Tool Design for Plastic, Sheetmetal, Casting, Forgings and Machined components, and Machine Design exposure. Over the years he has rich experiences in PLM Implementations and automation of Manufacturing Processes across India and South Asia. He has provided his services to very competitive and demanding US & European Automotive OEMs, Suppliers & Machine Tool Manufacturers. 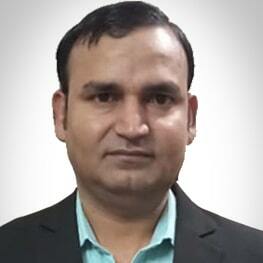 He has expertise in many areas that a manufacturing organization gets involved in. 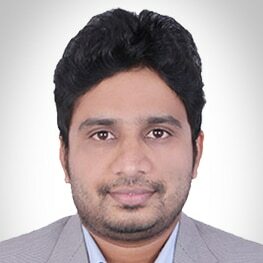 Amit Nandi is an experienced CAE Consultant and has expertise in Simulations tools from Siemens such as Simcenter 3D, NX NASTRAN, FEMAP and other competitive CAE software such as Hypermesh & MSC Nastran. He has helped Space Research Organizations, Industrial Machinery Companies, Energy companies etc. with their problems that involve simulations. He has a Master of Technology (MTech) in Machine Design. During the initial phase of Mold Design, overcome slowness & inefficiency to accommodate changes. Capability to assess moldability and manufacturability of the plastic and cast parts. Are you struggling to create your product assembles faster? How Solid Edge helps to build assemblies faster. Working efficiently with Solid Edge assemblies. How can Design Engineers quickly validate their work even before sending it to Simulation Engineers? Can Design Engineers obtain an early feedback on Structural & Thermal performance of their CAD Model with an integrated CAE interface. The Design Engineers can also evaluate more alternatives with faster iterations between Design & Analysis. This can significantly reduce the work of the simulation Engineers. Is your Technical documentation isolated from Engineering, Manufacturing and Servicing experts? While creating sheetmetal parts, reduce scrap and increase produce from your material efficiently. Design and formulate products to make efficient use of material for Sheetmetal parts. How to reduce errors, scrap and rework at shop floor via integrated Engineering BOM & Manufacturing BOM. What can be the quickest way to create 2D and 3D representation of your thinking? Solid Edge Drafting for Time reduction for drafting. Quick Drawing Creation, Quick Editing. Are you worried about effectiveness of Mecahnical excitation coming from the interaction of Moving parts ? Geometry based Pre & Post-processing for Multibody dynamics that helps to analyse the complex aspects of kinematics, rigid body & Flexible body dynamics during product development of every industry. Is reduction of Blend Area a problem for you?....There's an easy way out. Reduce the radii of the concave corners (blends) of die faces which is slight difficult to accommodate changes. How Integrated Engineering Change Management can reduce error and delay by thorough impact analysis and automated implementation process. Which is also keeping your ERP UpToDate. Are you worried that you cannot edit the Multi-CAD data in NX? Synchronous Modeling in NX to work with multiCAD data or data imported from neutral formats. How automating the 3D simulation processes can accelerate product development cycle? As the products get complex and include larger number of systems, it is important that a a unified approach is taken to validate the products in totality. Can there be a method that eliminates using multiple tools and data integration hassles while analysing complex products? How do you create highly continuous advanced surfaces and photo-realistic rendering of your parts? Photorealistic rendering allows you to make decisions about aesthetics, function, and materials of a product early in the design process when costs are low. 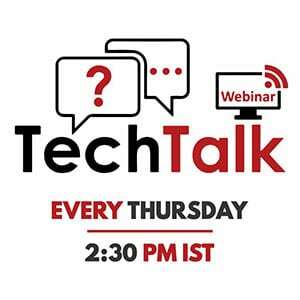 How to ensure Product Documentation like FMEA, QA Plan, Engineering Calculations, Costing etc. are UpToDate with the evolution of design. Product revision driving Document revision. Can you work directly on 3D scanned data, and eliminate creation of surfaces & solids again? Convergent Modeling in NX- Using faceted data along with Solid and Surface. How can Multidisciplinary Design Optimization (MDO) unravel answers that are humanly impossible to find? You no longer start with a design and then use simulation to only evaluate performance. And again send back for design improvements. You can now define the desired performance of the products and optimize the design and simulation simultaneously. Are you creating mistakes in analysing surface quality of your part geometry? Comprehensive geometric and shape analysis tools to check surface quality. How you can see Product data, Deliverables, Human Resources, Manufacturing Resources, Schedule Plan, Schedule Status and Project Cost in one dashboard. And then use this insight to manage Project Cost and Time Line. Without Design rules, you are unable to re-use your design geometry instantly. Is there a way out? User Defined Function, Part Family, Deformable Components in NX. How can you make better engineering decisions faster to balance multiple attributes of the vehicle in the initial phase of product development? Follow the complete cycle starting from Multibody Dynamics to Optimizing the design for performance and increased life of the product. You can also corelate the test and simulation data rapidly. Get the unfair advantage of arithmetic formulas and built-in functions in NX to dynamically change the models. How the parametric models can be modified based on the design criteria using Expressions in NX. What can be the fastest way to develop industrial Molds from start to end? NX Mold Design streamlines the entire mold development process: from part design to tool assembly layout, tool design and tool validation. Minor change in product variants leads to major R&D efforts. How to reduce the efforts? Creating the templates for the repetitive tasks in NX. Product Template Studio. Is the reduced useful life of your machinery under varying operating conditions, worrying you? During operations of any machine, there are unpredictable working conditions. Understanding & analysing the responses of structural systems under different loading conditions can help to make design changes and provide rapid feedback on dynamic performance. Stop wasting time by adopting efficient industry-proven Progressive Die Design process. Shortens the overall progressive die design time by embedding industry & process knowledge. Is the senior management getting a true picture of your Projects & NPD progress ? How a Realtime dashboard of Project Status can help Project management deliver on time within Target cost. For Sheetmetal part creators, what can be the easiest way to avoid trial-and-error method to get accurate blank size? About NX Sheet Metal and the Analysing Formability. Can the bad cooling performance of the Electronics systems of your products cause structural damages? Electronics systems in any machinery is densely packed and is heat-sensitive. So if you have the ECAD model, you can directly apply a combination of Flow and Thermal solvers in an integrated Multiphysics environment to simulate 3D air flow and thermo-fluid behaviour. Reduce confusion in predicting the flow of material inside the Molds. A true integrated mold flow simulation tool for NX designers to analyze part design and mold designs during early stage of the design process. Inaccuracy & delays in Costing of products : How to overcome the challenge? How an enterprise Costing Tool can automate cost estimation and help in improving costing accuracy, knowledge retention and Designing for Cost. Are you struggling to manage your 3D, 2D and documents with respect to products? Built-in data management, Design Manager, Cloud enabled, SEEC (Solid Edge Embeded Client) Teamcenter Integration for Solid Edge. The Acoustics Challenge : Is the unwanted generated noise exceeding the expected standards? In any machinery, or a product under its operating conditions, tends to create noise - Those extra unwanted decibels/vibrations! How quickly can you isolate the source of the noise and analyse the various methods to eliminate that noise? The Fatigue Challenge : Is there a risk of failure of the parts/products before the expected usable life? The goal is always to make the actual life of the product come near to the expected life. Often under-engineering and over-engineering lead to unexpected life. Durability analysis of fatigue and strength to calculate Fatigue Life, Stress Safety Factor, Fatigue safety factory etc. can be the answer to many problems encountered later. In sheetmetal part creation, how do you compensate for springback during stamping? NX provides capabilities to morph surfaces to CAE mesh or STL or point clouds in NX environment to compensate for springback that occur during stamping. How to ensure when requirement changes, all impacted designs, documents, tests and manufacturing process are updated without fail. How easily can you create the Mechanical Routing - Piping for your equipment design? Routing in NX - Mechanical Routing. Often neglected are the actual conditions that act on the structures as ``Loads`` over its lifecycle. How can you include those elements and conditions in your validations? Actual conditions often comprise the forces exerted by fluids on the structures. FSI is a key domain to analyser for the accurate prediction of fluid loads on the exposed structural components. Are you feeling the pressure of unrealistic Machining Time expected by your customers?... Try this new approach! Adaptive milling is an intelligent roughing method enables deep cuts and constant tool load that increases material removal rate, while extending tool life to reduce 60% time. Minor variance in the product, but major R&D efforts: How to manage this? How to have a master assembly and drive all the product variants through it. Efficient & error free Product Variant Management. How 3D Product Manufacturing Information can change your thinking for tolerances in product design? Is your vehicles’ Exhaust system able to meet the necessary emission standards? If the emission standards are not met, this can lead to delayed launches or no launch! Hence, reducing NOx emission by optimizing SCR performance is critical using 3D CFD at an early stage. How difficult is it to get postprocessor output for 3 Axis machines as per requirement? Development or editing of a postprocessor for a 3-axis CNC milling using NX postprocessor. 90% : That's the time saving you can get by automating CNC programming. NX CAM can automate CNC programming by using Feature-Based Machining (FBM). The generative FBM technology automatically determines the machining process for a wide range of features. Can ERP address all business needs, or something is missing? How an integrated PLM & ERP can help in improving transparency, efficiency & productivity. Are you worried about the Design Quality and how to avoid costly rework later on? Using the set of design validation tools in NX - Check-Mate. Why is ``Hybrid Multiphase Modelling`` necessary today to understand the behaviour of Fluids over Solids? The performance of your product depends on having the right modelling capabilities to accurately represent the physical behaviour of different fluid and solid phases. You can understand the various methodologies and adopt the ones that fit the best. What can be the easiest way to create toolpath for prismatic parts? Quickly create optimized NC programs for prismatic parts with minimum input. Inefficient RFQ response process: How to prevent delays &inaccuracy? Are your struggling to explain your assemblies and detail them in exploded views? Assembly Sequencing and Exploded Views in NX for Manuals and explaining the process of assembling and detailing. Have you ever tried designing the innovative composite material to adhere to all the expected scenarios and usage conditions? While addressing the functional requirements of a product, it is important to increase its structural efficiency and reliability. Also, the expectation is to simultaneously minimize the weight. How can these thoughts be combined to develop a new material for the usage?